In addition, the level of play provided by left tackle Samuel Cosmi and center Zach Shackelford make them known commodities with lofty expectations for 2019. 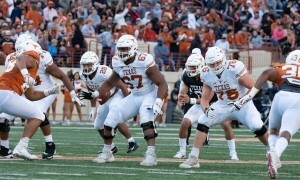 With that in mind, there’s concern for Texas on the second string offensive line where experience is sparse. 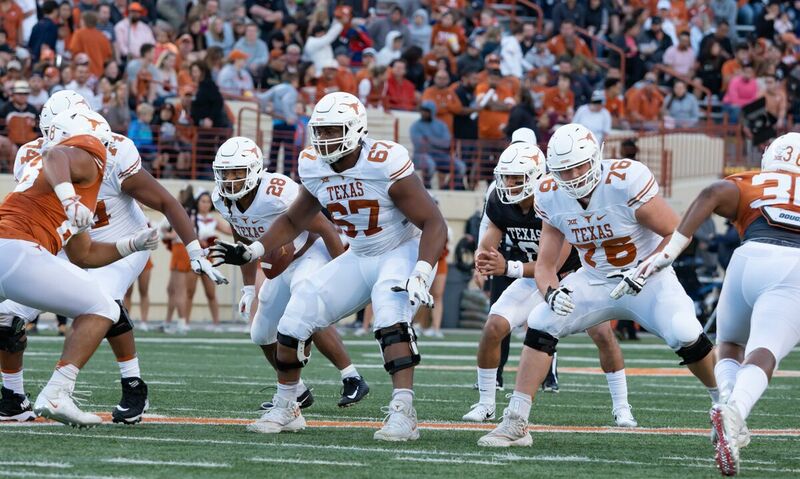 “Still a work in progress,” Texas head coach Tom Herman said of his second team OL after Saturday’s Orange-White game. Herman said something similar one week prior when he explained the need for the second team OL to improve. Fans were able to see the concerns we’ve hinted at first-hand, especially when snaps from Rafiti Ghirmai scraped across the turf to Casey Thompson’s feet. Though the second string struggled on Saturday against the first team defense, it’s worth remembering that Herman doesn’t simply plug the back-up left tackle into the game if the first stringer has to leave. He instead inserts what he believes to be the next best offensive lineman, and tinkers with positioning from there. It would be unlikely that Reese Moore would be the left tackle if something drastic were to happen to Cosmi, or that JP Urquidez would slide into Derek Kerstetter’s right guard spot if the San Antonio junior had to leave for a play. In a similar vein, it’s unlikely Ghirmai would see snaps at center this year before Kerstetter, who is versatile enough to play up and down the line. However, Ghirmai struggled with one of the core components of center in snapping the football. Shackelford has been in Ghirmai’s shoes before. When he enrolled early in 2016, he came to Texas with the expectation that he would take over a position he had never played at Belton. He was thrust into the middle of the offensive line and has been a mainstay there for the past three seasons. 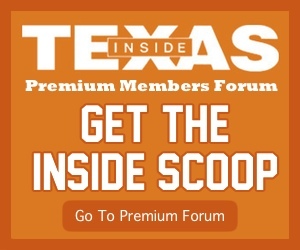 He understands the issues Ghirmai, who mostly played tackle at Frisco Wakeland and while redshirting in 2018, is having with one of the toughest positions on the field. Still, Herman wants to see more from the inexperienced unit that makes up the second string line that includes Ghirmai, and he wants to see it quickly. Not only with snapping, but with everyone in acclimating to the speed of the first string defense.